Born in Launceston in 1900, Colin ‘Col’ Deane was a talented all-round sportsman from an early age. He represented Launceston Church Grammar School in football, cricket and rowing and was a member of Tasmania’s King’s Cup rowing team in 1921, the only King’s Cup to be held on the Tamar River. 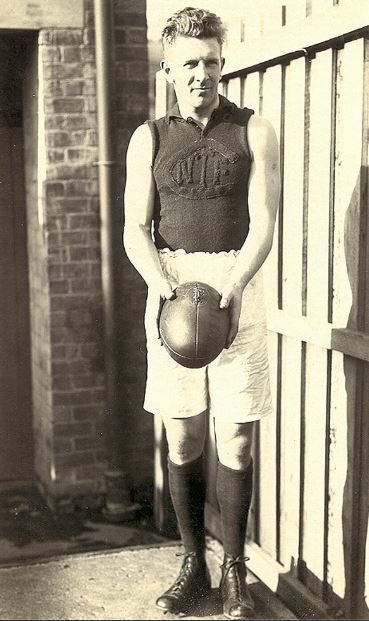 He began his senior football career at Launceston in 1919, and after three years in the north of the state – which included multiple representative honours in NTFA teams – Deane headed south to Hobart to play with New Town in 1922. He soon became well known as a prodigious but very accurate kick and a vigorous rover of unparalleled skill, and was selected to play for Tasmania in the 1924 National Carnival in Hobart. After three years with New Town, Deane was lured across Bass Strait to the VFL, joining Melbourne ahead of the 1925 season. He would play 82 games in six seasons with the Fuschias, including the 1926 premiership, one of his teammates being Hall of Fame icon Ivor Warne-Smith. He also twice represented the VFL in interstate matches in 1925 and 1929. After departing Melbourne at the end of the 1930 season, Deane spent 12 months in New Zealand, before returning to Victoria to coach Melbourne’s reserves team in 1932, leading them to a premiership. On the back of this success, St Kilda lured Deane into one final attempt at playing senior football at the age of 33, enticing him with the princely offer of £4 per week, plus an additional £3 for every match he played. In the end Deane only managed to play the first three games of the season before deciding to retire in order to focus on coaching. Unfortunately St Kilda finished the season with a record of 6 wins and 12 losses, and Deane was not retained as coach for the following year. After his VFL career ended, Deane remained in Melbourne, and he died aged just 52 in 1952.